Properly functioning electrical systems in your home are important for a number of reasons. Not only are electrical problems inconvenient, they can also mean serious safety issues. From a simple repair or replacement to a complete remodel, count on the experienced licensed electricians at Stafford Home Service. Please see our complete listing of residential electrical services below. 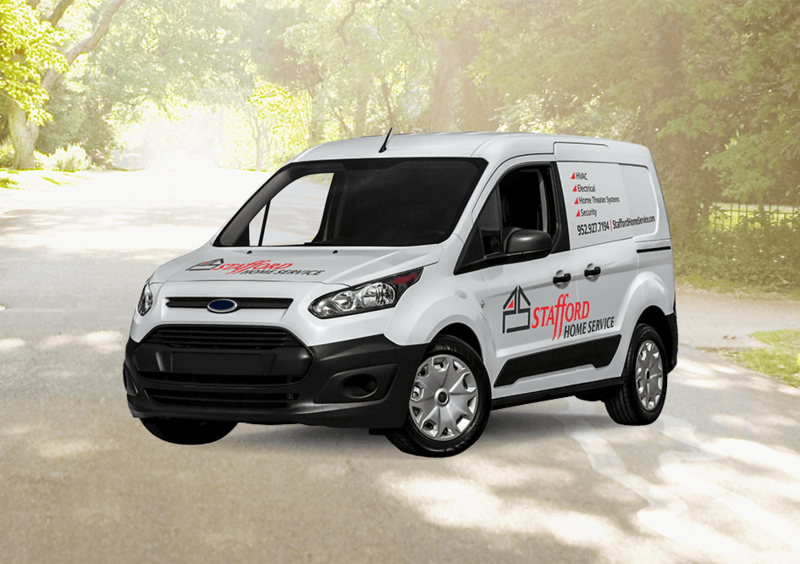 Stafford Home Service was built on a foundation of providing high quality home electrical services at a good value, and that’s still a priority today. Times and technology have changes since the company’s early days, but our commitment to exceptional workmanship and unparalleled customer service has not. Find out more about our residential electrical services below. 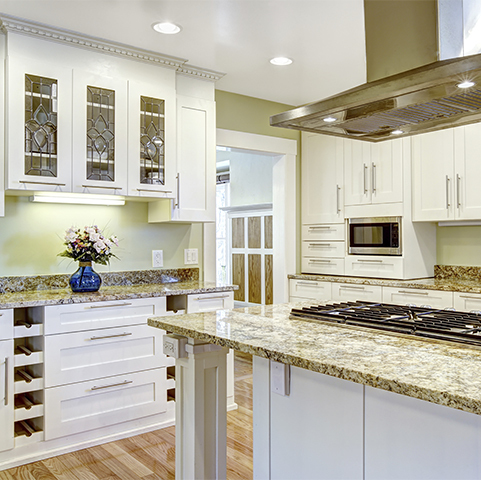 When the time comes to replace your kitchen, laundry, or other home appliances, look to the experts at Stafford Home Service. Stafford Home Service can recommend and install a bathroom ventilation fan that suits your needs and your home. For safe, accurate replacement or installation of ceiling fans or light fixtures throughout your home, trust the expert electricians at Stafford Home Service. A key component to any remodel or renovation is the electrical system. New advances in lighting technology have broadened the variety of dimmer switches available today. Stafford Home Service provides electrical certification services, that maintain city and code compliance. We install Square D™ breaker box, circuit breaker, and safety switch products from Schneider Electric. Electric heating is an option for areas of your home or property that cannot be accommodated by your existing HVAC system. Radiant electric floor heating, or in-floor heating, are safe, energy efficient, and provide an even level of heat throughout your home. Stafford Home Service can address common home electrical repairs and troubleshooting. Electric and hybrid vehicles are becoming more and more common, increasing the need for residential electric vehicle charging stations. With a more reliable, high capacity breaker box, we can ensure that your system is up to code. A GFCI outlet or breaker is installed to prevent electrical burns and fatal shocks, AFCIs help prevent electric fires. For added convenience and safety for your holiday lighting, trust the experts at Stafford Home Service. There are many complicated components to hot tub installation, including wiring, voltage, breaker, and outlet requirements. Stafford Home Service offers complete design and installation services for both indoor and outdoor lighting. Commonly known as electrical noise, electromagnetic interference (EMI) can interfere with performance of home electronics. Stafford Home Service offers a full range of services to install or repair residential low voltage wiring for networking, audio and video, and central vacuum. Stafford Home Service offers expert installation of a full line of Nest products. Keep your home’s electrical system up-to-date and compatible with today’s advanced technology with new receptacle outlets and circuits. A Central Vacuum system from NuTone does much more than clean your floors. Minnesota’s weather extremes can cause a number of inconveniences, but losing power doesn’t have to be one of them. This type of light fixture can provide ambient or task lighting, and can be used with incandescent, fluorescent, or LED lamps. Let the experts at Stafford Home Service handle all the details and requirements of a sauna installation. Surge protection goes well beyond a power strip to protect your computer and other electronics. An efficient, stylish way to add lighting to your kitchen or other work space is under cabinet lighting.